This man attempted to drive around Australia last year without using any petrol. His aim was to get into the Guinness World Records, and produce as little greenhouse gas as possible. 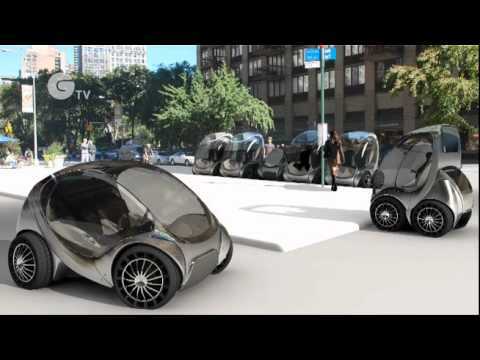 Check out this video and meet Will Lark, an MIT graduate student working on the CityCar project. When the fuel is used by the car engine to produce power, it creates emissions - left over gases. The main emissions of a car engine are nitrogen, water vapour and carbon dioxide. Carbon dioxide is one of the greenhouse gas, which are contributing to the warming of the atmosphere. Cars are a lot better than they used to be, and will continue to improve. New laws signed last year bring Australia in to line with most of the other developed countries in the world. New cars will be manufactured to increasingly high efficiencies. Learn more about fuel efficiency and future fuels at the How Stuff Works link. Hollywood actor Leonardo di Caprio spent $100,000 buying one of the first electric sports cars in the world. Listen to an interview with the maker of this cool, green car - Mr Fisker. Hybrid cars are the start of a new chapter - you may have heard about the Prius from Toyota which has been the most prominent hybrid in Australia for the past few years. Hybrid vehicles use petrol in conjunction with electric battery power, which helps them make more efficient use of the petrol and reduces the carbon dioxide emissions. Car manufacturers continue to develop technology and make improvements on these hybrids. Some countries like Brazil have widespread use of other fuels, known as biofuels. These fuels are made from food crops such as sugar and corn. These fuels are renewable - you can just grow another crop - and they have much lower greenhouse gas emissions compared to fossil fuels such as petrol and diesel. They are also attractive because countries can grow their own fuel and they don't have to rely on other countries selling oil to them. Biomass fuel can be made from non-food organic material such as trees and grasses, producing enthanol. Ethanol can be used as a fuel itself, but it is usually added to petrol to reduce its carbon emissions. Biodiesel is made from vegetable oils and animal fats and is the most common biofuel in Europe. But there are some downsides. Have a look at this article for 10 disadvantages of biofuels. Australian Geographic: Agave, fuel for Australia? One school in coastal Cornwall in England is working on a bio-reactor with real-life researchers to see if the local supply of seaweed could be a good, inexpensive source of clean energy. Hydrogen is a very attractive option for fuelling cars because the only emission is water! Hydrogen is the simplest and most readily available element on the planet. But there are some tricking problems still to crack - the fuel tank for hydrogen would need to be highly pressurised or very, very cold, [around 260oC below zero] which makes it heavy and expensive. Biofuel is made from crops that can be grown. There is concern the world needs this food supply to feed the 7 billion people living on Earth. A booming biofuel industry may also encourage farmers to clear forests so they can grow crops for biofuel. This would be bad for the environment because trees help to use up the carbon dioxide in the atmosphere and we can't afford to lose any more! A possible solution could have been discovered by a team at Penn State University in the USA which has found a chemical reaction that recreates the process of photosynthesis [the process plants use to convert sunlight to energy], and produce hydrogen biofuel twice as fast as nature. 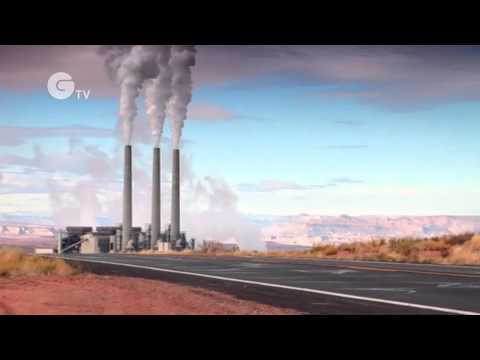 Take a look at this really cool video from Green TV about electric cars. They're almost completely quiet and have no emissions. Battery technology has made some major improvements which means they can now travel for reasonable distances before they need recharging. A Victorian former school teacher, Ross Blade, is now building Australia's own electric car - the Blade Electron. French car manufacture Renault will bring the first unlimited range electric car to Australia in 2012. Have you seen one of these around yet? In Germany, drivers of electric cars can re-fuel at solar charging stations ensuring they are completely carbon dioxide free... WOW! And now there are designs to build highways that can recharge electric car - while they are on the move! Read more about this amazing idea here. Getting any good ideas, Future Sparks? Battery technology is making great leaps, with a engineers from North-western University developing a mobile phone battery that holds a charge up to 10 times greater than current technology. The technology will be enable batteries for electric cars to travel longer distances before needing recharging. Now we're moving! But it will take at least three years before it is widely available. If you LOVE cars, check out these links about the future of cars from ABC and Alternative Energy News.